I think it goes without saying – you don’t have to be Southern or Texan to love a great party. I’m particularly enchanted by those of the themed variety. Attribute it an unhealthy attachment to the days of Mary Kate and Ashley (when you could even have homework parties) if you must, but time has already told that this love for all things celebratory isn’t leaving with age. If there is one thing Texans can do, it’s throw a party. Rodeos take place everywhere, and range from small-town traditions to big-city blowouts. 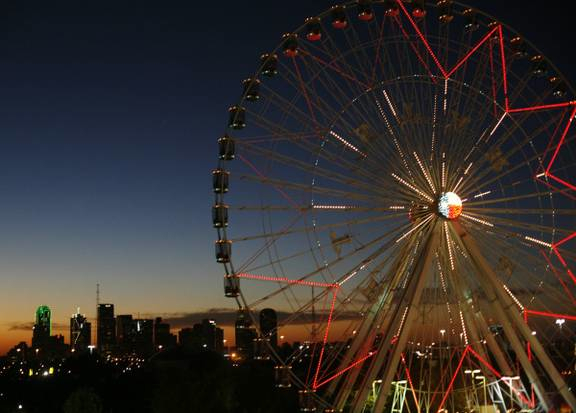 The State Fair of Texas is the biggest in the country, with almost 3 million visitors per year. And only three years ago, the University of Texas at Austin was named the number one party school in the nation. There is one fete, however, that I lust over every year around this time. And it has no ties, no themes related to, absolutely nothing to do with Texas. 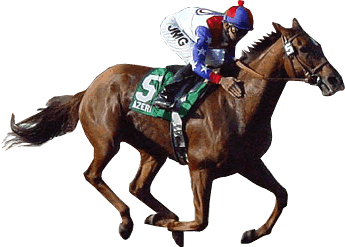 The Carolina Cup is a steeplechase event held in Camden, Souther Carolina every spring. Started in 1932, this gala has come to be the most southern-infused gathering to take place each year. 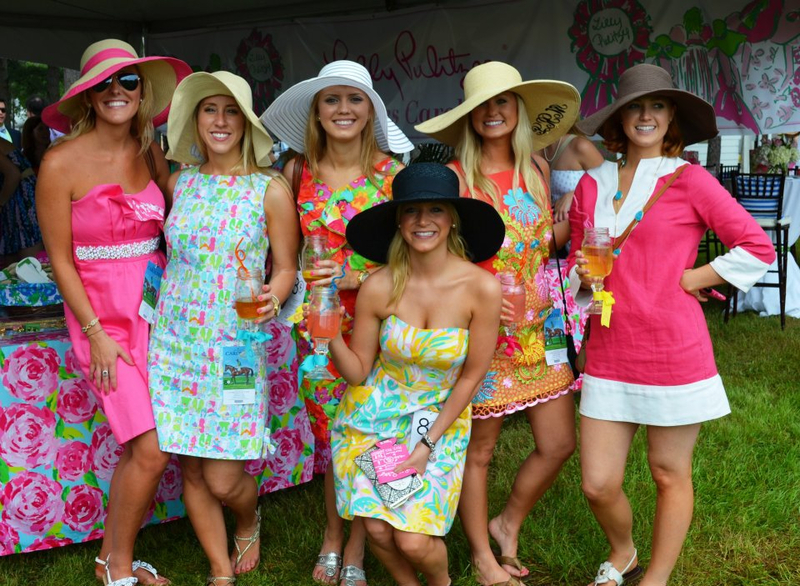 Unlike most horse races, the Carolina Cup draws college students from every state below the Mason-Dixon line, who don pastels and sun hats to enjoy this day-long event. What I love most about this soiree? The apparel. 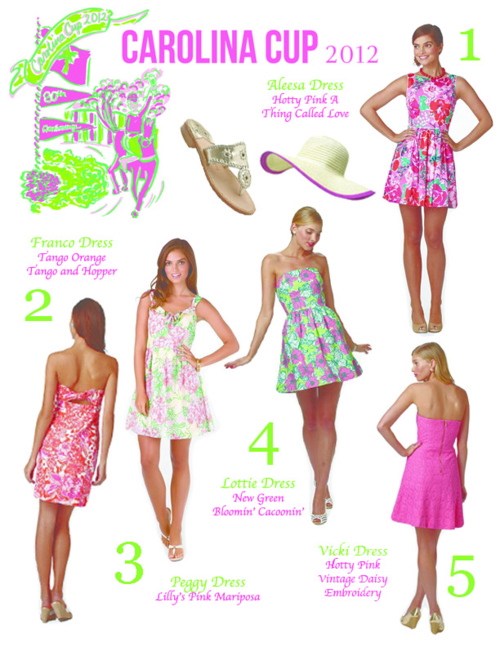 Traditionally, men wear everything that is seersucker and Vineyard Vines, while ladies adorn Lilly dresses and sun hats. 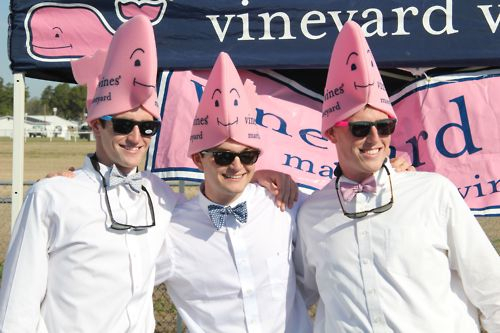 The event has become so associated with preppy stylings that Vineyard Vines, Southern Tide, and Lilly Pulitzer have all made appearances at the event. 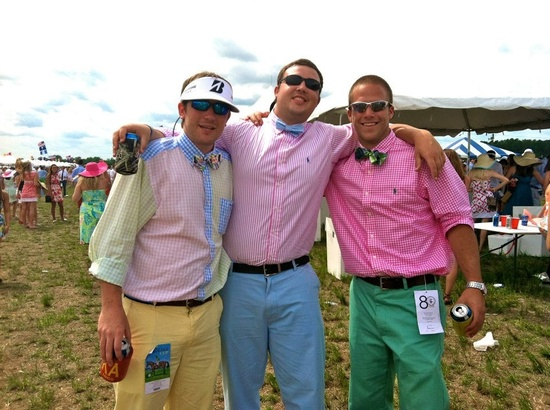 While I’ve personally never attended, I bet I can make a good stab at a few things sure to make their way to the Carolina Cup this year. 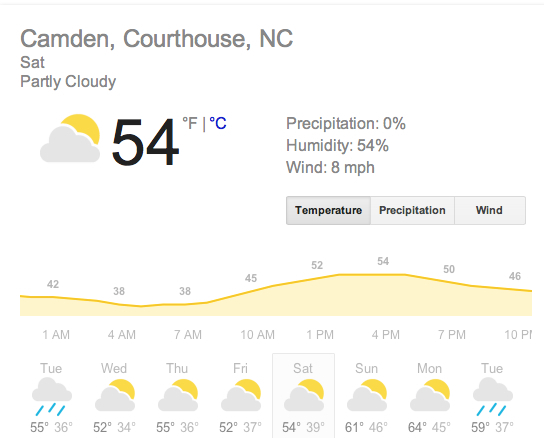 Looks like cardigans and Patagonia jackets will also make an appearance with this cool weather. At least there’s no rain! 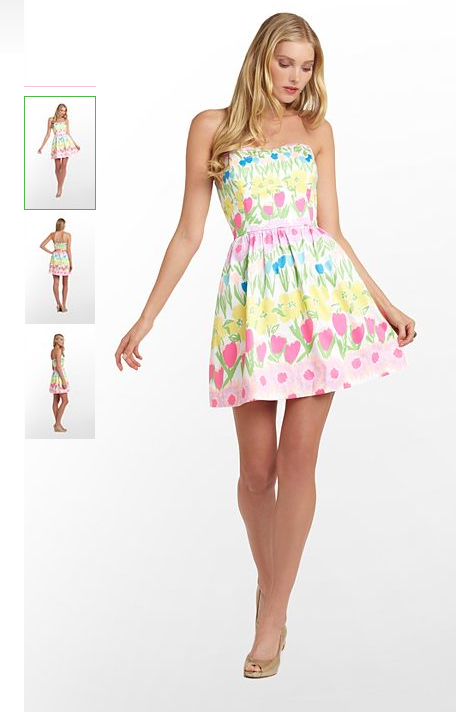 Pretend you see me there… in this dress… ok? 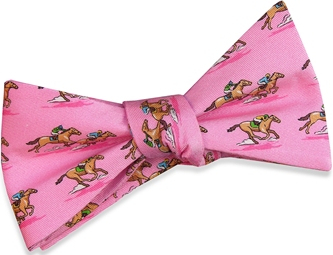 This bright, derby-inspired concoction from Bird Dog Bay seemed fitting, don’t you think? This little beauty just happened to sport my initials. Coincidence? I think not. Leave your red solo cups at home. 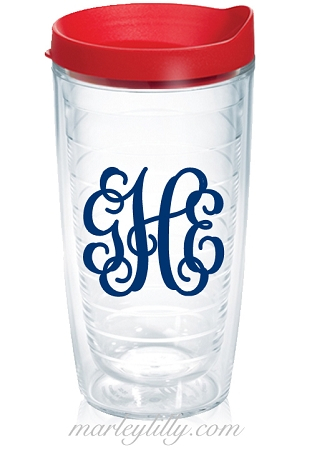 The Carolina Cup demands more elegant accessories. 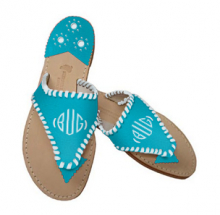 Monogrammed Jack Rogers. Someone pinch me. 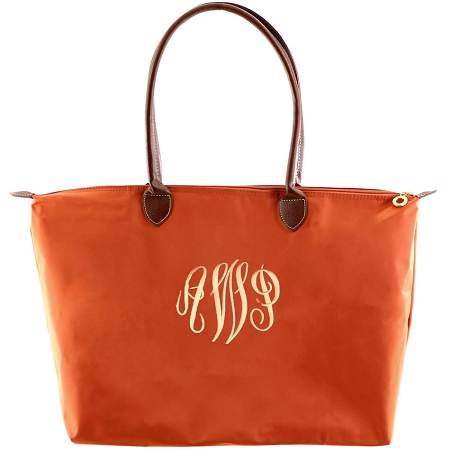 Ok I lied – you can sneak in a teensy bit of Texas with this burnt orange Longchamp bag. 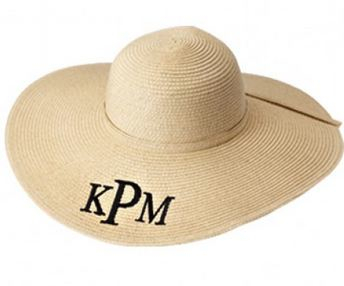 A must-have for any fraternity entertainer, I’m told. 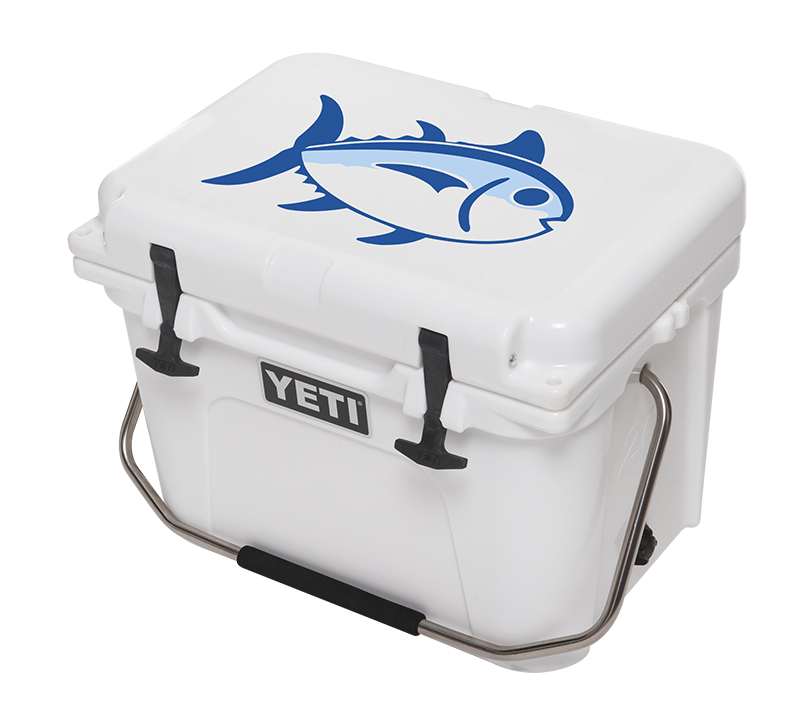 Look, this one even has a Southern Tide logo! Told you. I guess that was a given. Have fun making your way through these! Show above is last year’s ticket. These are seen on the front of every seersucker pant and floral dress you come across. This festivity is favorite to many, and promises to entertain. 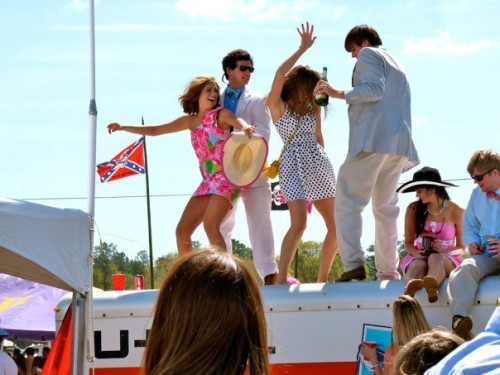 I absolutely adore this young, Southern tradition, and eagerly anticipate the photos soon to appear on my Facebook newsfeed of friends lucky enough to attend the event this Saturday, March 30. It’s one event I feel perfectly content leaving untouched by Texas stylings. 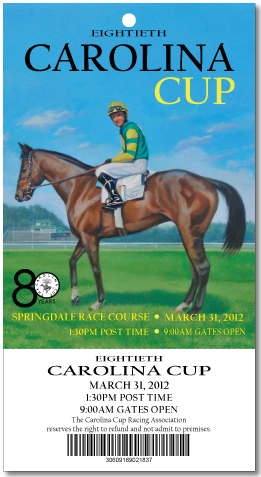 I can’t wait to attend (hopefully) the 2014 Carolina Cup! 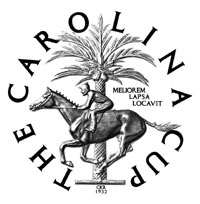 In the meantime, check out these links for personal reviews of the Carolina Cup by darling ladies. What about you? 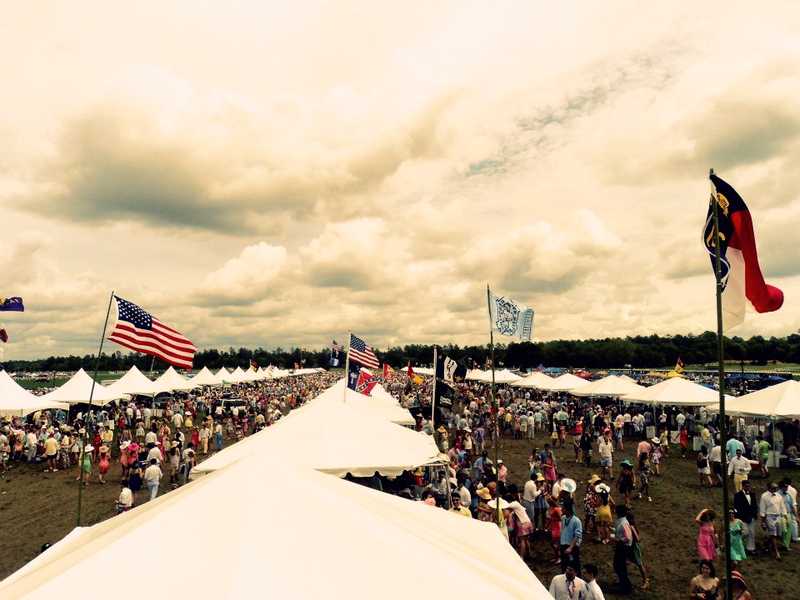 Have you ever been to the Carolina Cup? 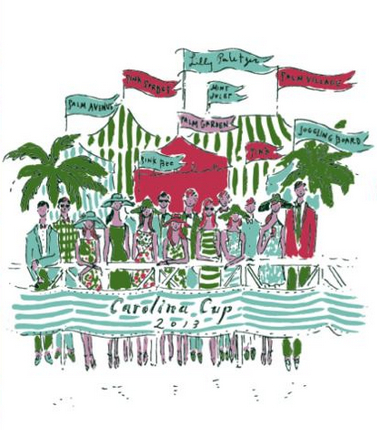 Do you have plans to attend the Carolina Cup this year?? I have never been before but I am dying to go this year before I graduate! I’m a senior at Duke and am a proud Texas girl too! I just found your blog and love love love it!